.“I cannot understand how a mere allegation of somebody, an individual, talking about duress, which has not been proven by anybody, will stop INEC from giving me my certificate of return for an election that I won properly. “I cannot understand why an individual’s report of a professor who lied, will now be taken more than the report by the Nigeria Police, State Security Service, that said there was no crisis, everything was peaceful. The returning officer should be called to order.” he saidThe governor whose son-in-law lost in his bid to become the next governor of the state, called on INEC to release his Certificate of return so the issue will not cause any constitutional and political problem for the country in future. 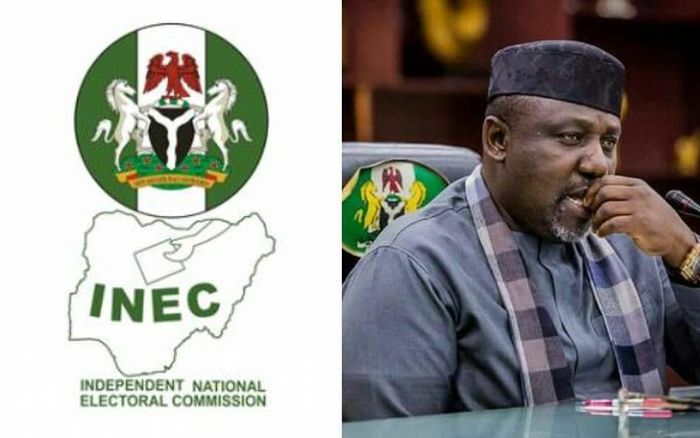 The electoral body had insisted that it will not issue a certificate of return to Okorocha, who was declared the winner of the election by the returning officer Professor Innocent Ibeabuchi, after alleging that he announced the result out of duress. Okorocha has, however, taken the matter to court.